© The Asahi Shimbun, via Getty Images Chiune Sugihara, in an undated photograph. “Even a hunter cannot kill a bird that flies to him for refuge.” This Samurai maxim inspired one gifted and courageous man to save thousands of people in defiance of his government and at the cost of his career. On Friday I came to Nagoya at the invitation of the Japanese government to speak in honor of his memory. The astonishing Chiune Sugihara raises again the questions: What shapes a moral hero? And how does someone choose to save people that others turn away? Research on those who rescued Jews during the Holocaust shows that many exhibited a streak of independence from an early age. Sugihara was unconventional in a society known for prizing conformity. His father insisted that his son, a top student, become a doctor. But Sugihara wanted to study languages and travel and immerse himself in literature. Forced to sit for the medical exam, he left the entire answer sheet blank. The same willfulness was on display when he entered the diplomatic corps and, as vice minister of the Foreign Affairs Department for Japan in Manchuria in 1934, resigned in protest of the Japanese treatment of the Chinese. A second characteristic of such heroes and heroines, as the psychologist Philip Zimbardo writes, is “that the very same situations that inflame the hostile imagination in some people, making them villains, can also instill the heroic imagination in other people, prompting them to perform heroic deeds.” While the world around him disregarded the plight of the Jews, Sugihara was unable to ignore their desperation. In 1939 Sugihara was sent to Lithuania, where he ran the consulate. There he was soon confronted with Jews fleeing from German-occupied Poland. Sugihara talked about the refusal with his wife, Yukiko, and his children and decided that despite the inevitable damage to his career, he would defy his government. Day and night he wrote visas. He issued as many visas in a day as would normally be issued in a month. His wife, Yukiko, massaged his hands at night, aching from the constant effort. When Japan finally closed down the embassy in September 1940, he took the stationery with him and continued to write visas that had no legal standing but worked because of the seal of the government and his name. At least 6,000 visas were issued for people to travel through Japan to other destinations, and in many cases entire families traveled on a single visa. It has been estimated that over 40,000 people are alive today because of this one man. With the consulate closed, Sugihara had to leave. He gave the consulate stamp to a refugee to forge more visas, and he literally threw visas out of the train window to refugees on the platform. 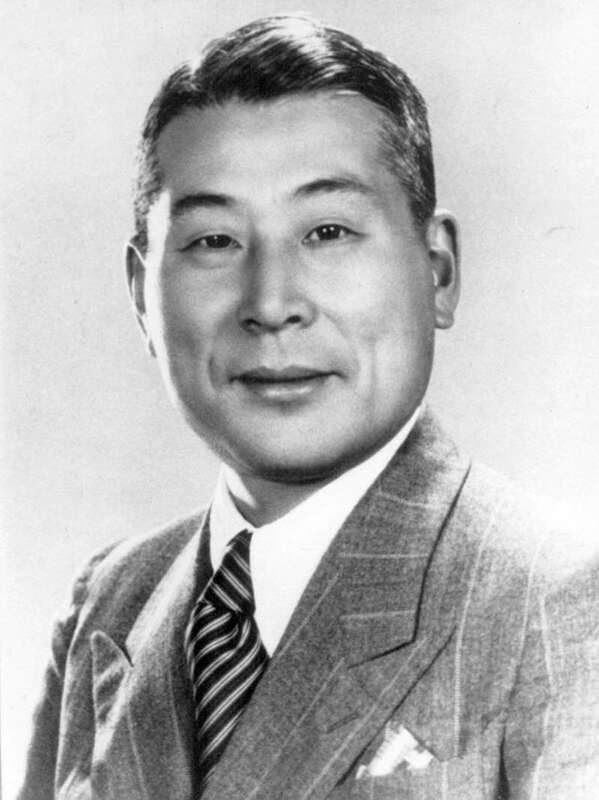 After the war, Sugihara was dismissed from the foreign office. He and his wife lost a 7-year-old child and he worked at menial jobs. It was not until 1968 when a survivor, Yehoshua Nishri, found him that his contribution was recognized. Nishri had been a teenager in Poland saved by a Sugihara visa and was now at the Israeli embassy in Tokyo. In the intervening years Sugihara never spoke about his wartime activities. Even many close to him had no idea that he was a hero. Of course many were in his place — and very few acted like Sugihara. Moral courage is rare and moral greatness even rarer. It requires a mysterious and potent combination of empathy, will and deep conviction that social norms cannot shake. How would Sugihara have responded to the refugee crisis we face today, and the response of so many leaders to bolt the gates of entry? There is no simple response adequate to the enormity of the situation. But we have to keep before us the image of a single man, overtaxed, isolated and inundated, who refused to close his eyes to the chaos outside his window. He understood the obligations common to us all and heard in the pleadings of an alien tongue the universal message of pain. On Friday, I told the students that one day in each of their lives there would be a moment when they would have to decide whether to close the door or open their hearts. When that moment arrives, I implored them, remember that they came from the same school as a great man who when the birds flew to him for refuge, did not turn them away.